In our continuing goal of highlighting BlackSci-Fi and contributions by creators of color across the various creative spectrums, we here at BlackSci-Fi.com are going to highlight some awesome Kickstarter, IndieGoGo, and GoFund Me campaigns you might want to donate to. Check out some of the below campaigns, and spread the word. Virgin Wolf Collection: The Hunt is Underway! From the Kickstarter website: Virgin Wolf is the tale of a woman struggling to put an end to her nightmares. With the help of Hania, her Native American guide. She has tracked her prey to France. Though little does she know the extent they have gone to or will go to see the world dominated by the Wolfen. Our printing for this project is going to be Kraken Printing. They do a great job working to make each job the best they can make it. No matter what the creators try to give them. Plus they are going to allow us the options of soft and hard cover books. 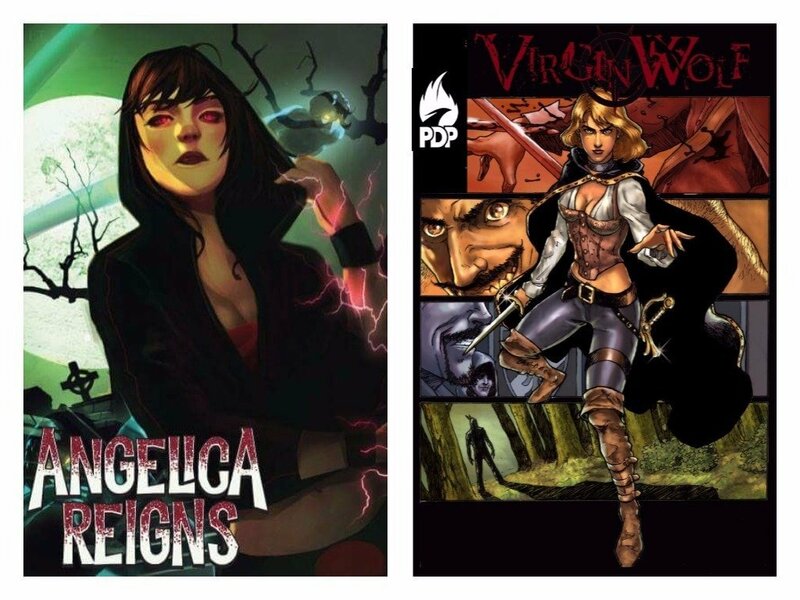 From the Kickstarter website: Angelica Reigns is the first solo series of the SFC Comics line. SFC is world of super powered sports entertainment. These solo series are a chance to get to know the characters outside of the ring. The Story: Angelica is trying to establish a life outside of the shadow of her mother’s cult and Qakare’s power. She’s a young woman in a new city making new connections. All of that is put on hold when she becomes prey to a secret society called, The Faith. They are a faceless, timeless, and secret organization with roots that go back to the crusades. Their mission is to bring purity back to this world. They have ways to track and monitor dark magic.